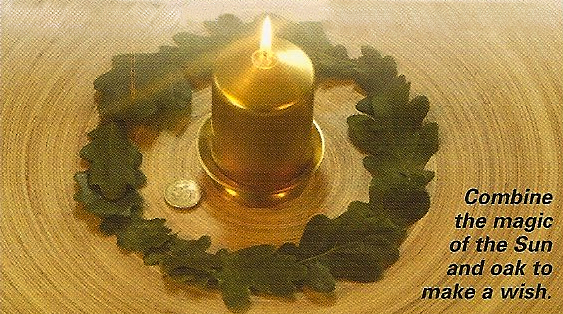 At the height of the Midsummer, the Celtic Moon month of Oak is the perfect time to cast spells that encourage growth of all things. The longest day of the year and the shortest nightfall is during the Oak Moon. Known as the Summer Solstice, celebrations revolve around the power of the Sun at its zenith. Folklore decrees, “He who sleeps on the shortest night shall sleep all year,” meaning that this is a time for action, not rest. Magic at this time should concentrate on areas of life that fall under sunny auspices, such as health, success, prosperity and blessings. Cast spells that inject solar energy into your projects by decorating your altar with gold and yellow. Wear orange to boost your and stamina. The oak can be used as a haven for restoration. When your spirit needs rest and comfort it can be soothed beneath the tree’s vast branches, and many sacred rituals were conducted in the shadow of an oak tree in Ancient Britain. Meditating with your spine resting on the trunk of an oak tree soothes the nervous system and induces feelings of inner peace. Oak trees act as a conduit for the energy of endurance, fortitude and strength, offering a magical remedy for fear and despair. They bring courage and protection from adversity. The great size and age of the oak made it a symbol of the continuity of the community. The water that collects in the dips of its branches were thought to be sacred and was used to cleanse and heal the body of negative energy. Growth and fertility spells work best at this time of year. Focus on building and consolidating your wisdom, endurance and security. Feel energized by the power of the Sun and oak during this magical time of year. 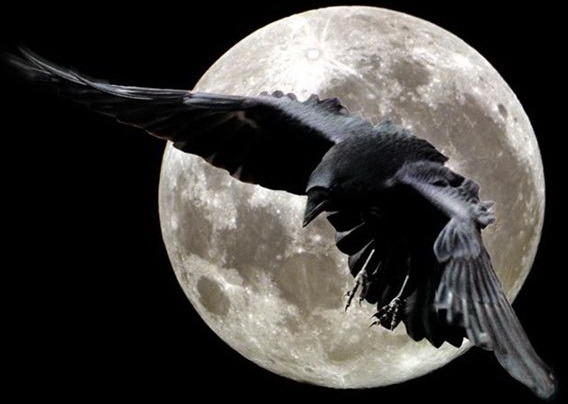 Harness powerful solar energies for Oak Moon spells to bring cheer and success to your life. 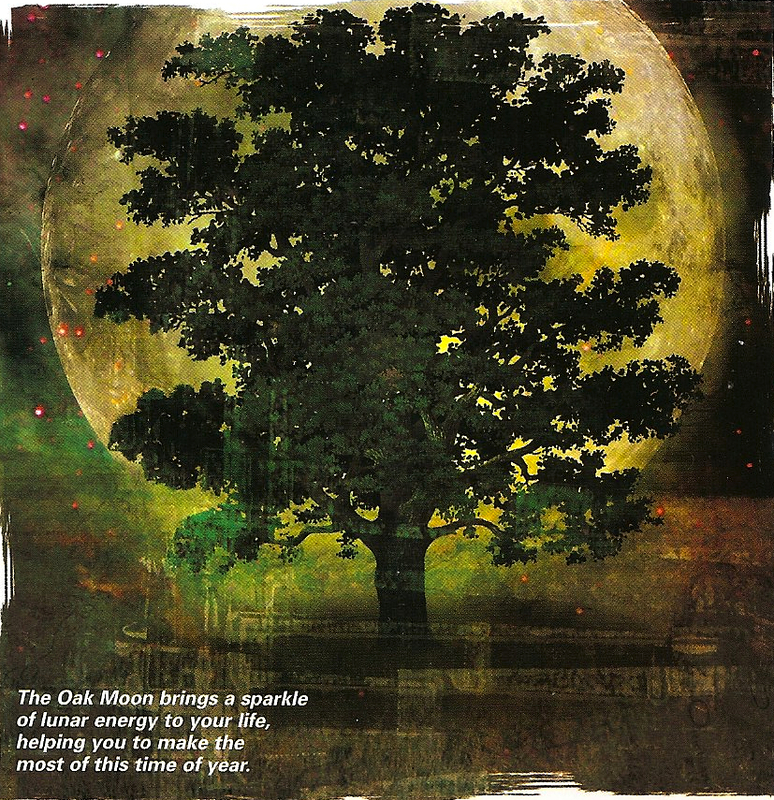 Go on a vision quest during the Oak Moon and spend time in nature to receive messages from the oak tree. For best results carry out this quest at the time of the Summer Solstice to enhance your insight with the energy of the Sun. As you’ll need to spend a night outside for this quest, It’s best to do it with a friend. 1. Go to a hilltop where both sunset and sunrise will be clearly visible. 2. Begin the quest at sunset, ending at sunrise. 3. As the Sun falls say a prayer to the great oak tree for guidance. 4. Look out for signs, such as animals that cross your path, or shooting stars. 5. Keep a record of your feelings and thoughts throughout the quest. 6. At sunrise give thanks for what you have received from the natural world. As the Sun reaches the height of its power in the month of Oak, so then energy of the natural world – and your own spirits will soar. Use this abundant feeling of vitality to attune yourself to the season and engage in some of these activities. Dance outside in the Sun – it’s so energizing. Go for a walk every day and enjoy the long, light summer evenings. Keep an acorn form the fall and use it as a charm during the Oak Moon. Have a gold-themed dinner to celebrate the Sun. Bury a letter to the fairies under an oak tree, detailing your summer wishes. Wear an oak leaf in your hair to bring you luck. Kiss an oak tree to increase your attractiveness. Make a wish during the Oak Moon to imbue it with solar energy. You’ll need to choose a wishing symbol, such as a coin for wealth. 1. Hold the gold candle towards the sky and say, “Power of the Sun enter this candle. May the flame of success burn brightly.” Place the candle in a holder next to a spell symbol that represents your wish. 3. Light the candle and make your wish, then let the candle burn down – success will be yours. Fallen Oak Leaf – air dried, pulverized and blessed ready to be used – for sale by Lady of the Moss on etsy.com. You can burn oak leaves to purify the atmosphere and banish fear and doubt. 1. On the night after the full Moon go to an oak tree and pour a libation of wine onto the roots, asking the tree for its help. 2. Gather a basket of leaves and sew them together, then hang up the leaves to dry out for three days. 3. When the leaves have dried, carefully remove the thread and pound the leaves with a pestle and mortar into a kind of incense. Light the charcoal in the fireproof dish. 4. When it glows red add the dried leaves to create a magical purification smoke. “Enhancing Your Body, Mind and Spirit”, 21 Nature Magic, CARD 11.